The U.S. Postal Service, UPS Inc. and FedEx Corp. have taken extra steps to ensure timely delivery of billions of packages this holiday season, including adding staff, infrastructure and pop-up locations. “This is our season. We’ve been doing it for more than 240 years, so we’re prepared. We prepare all year long,” said Karen Oberkrom, Dayton-area customer relation coordinator with USPS. 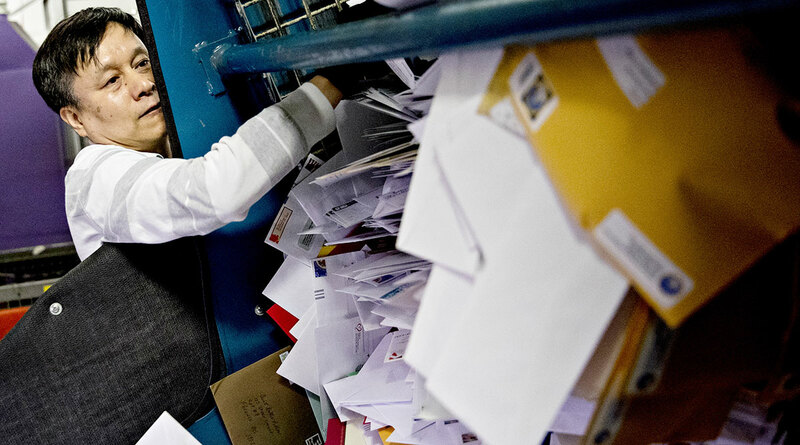 The Postal Service expects to deliver more than 16 billion pieces of mail during the holidays, including 900 million packages. To handle the influx, it has expanded retail hours, added 8,000 new vehicles to its fleet, expanded operational capacity with new equipment, hired seasonal staff and enhanced package processing systems to handle 25,000 packages per hour. Ship early. I can’t say that enough. Retailers and delivery companies have done a decent job of preparing for a major peak in package delivery this year, said Wright State University supply chain and logistics professor James Hamister. The increase in package carrying started around Thanksgiving, but delivery companies will continue to be in their peak season until the beginning of next year. “I would always try to do it as early as you can make your decision because you improve your odds no matter what. … There’s a very consolidated, very high level of demand at a time when weather can be pretty challenging,” he said. Some 15-23% of packages usually are delayed during the holidays, said Sri Sridhar, CEO of lateshipment.com, one of the largest independent trackers of packages. This holiday season, even express shipments could see a jump in delays to 14% or 15% as retailers add free two-day shipping to stay competitive in delivery wars. General shipping deadlines start as early as Dec. 14. For mailers in a bind, there are some same-day shipments through FedEx and UPS that can get packages to their destinations on Christmas Day. Gift givers who don’t want to pay extra for express shipping should plan to mail their packages by early next week. To avoid major crowds lining up at the three major delivery companies, experts say to avoid the week of Dec. 17-21. Oberkrom said USPS expects more than 8 million customers to go to their local post office Dec. 17 alone, the busiest day of the season. To ensure packages don’t get lost or damaged, FedEx spokesman Jonathan Lyons recommends filling hollow spaces with cushioning wrap, making sure all boxes aren’t damaged from previous shipping, adding an extra shipping label inside the box in case weather smears the outside, printing labels clearly and sealing all flaps and seams with packing tape in the shape of an H.
Shoppers ordering last-minute Christmas gifts online should do so earlier as well, retail analyst Brittain Ladd said. “The easier technology makes it for consumers to shop, the sooner, the earlier, consumers really need to be willing to pick the gifts, order their gifts and be willing to accept the gifts. … If they don’t do that, they just jeopardized being able to have the products they want delivered in time for Christmas,” Ladd said. Already this holiday season consumers took to Twitter with complaints that free two-day delivery through Amazon, Target and Walmart wasn’t what it seemed. Amazon and Target responded to frustrated customers on social media, saying two-day shipping refers to the time an order takes once it’s in the package carrier’s hands to the time it arrives at its destination. The two days does not include additional processing time.